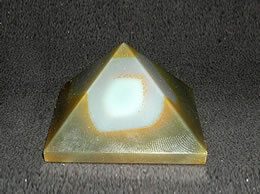 The well cut exceptionally attractive yellow agate pyramid is highly polished. 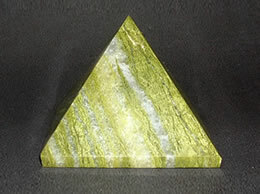 This distinctive pyramid appears to be glassy with an inconsistent color as the yellow color is derived from chloride particles, while the highly opaque and vibrant color is due iron oxide. 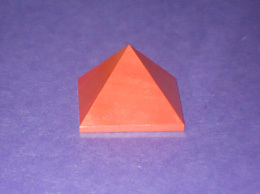 The red spots on the pyramid resemble the colour of blood. 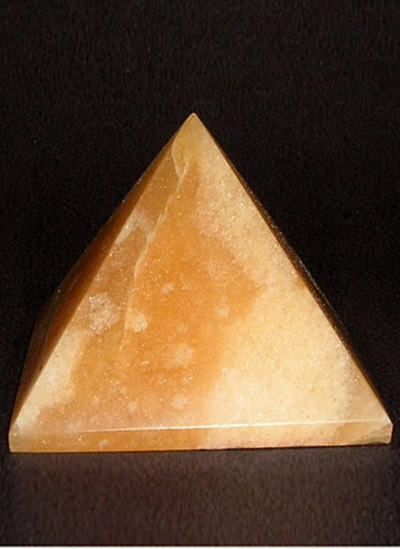 The solid dark yellow color and the visible brownish effect itself speak of the quality of the stone used to craft this pyramid. 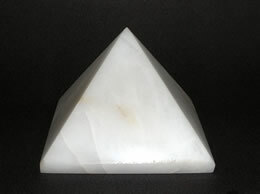 Size – 58 mm. 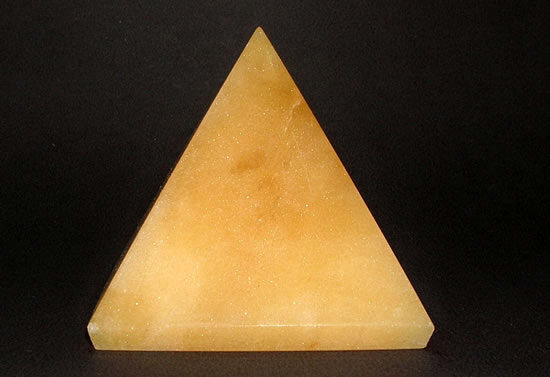 This yellow agate pyramid stimulates dreaming and is a powerful revitalizer. 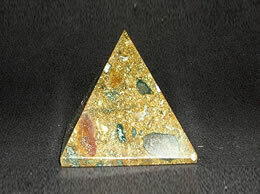 It boosts courage and assists in acting in the present moment. 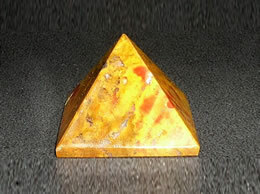 This yellow agate pyramid calms and revitalizes the mind, dispels confusion and enhances decision-making. 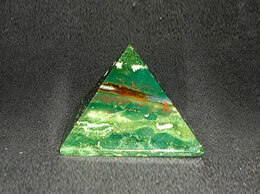 It assists the user in adjusting to unaccustomed circumstances. 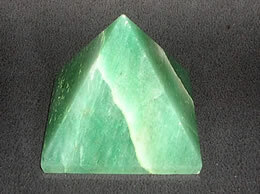 It helps reduce irritability, aggressiveness and impatience.